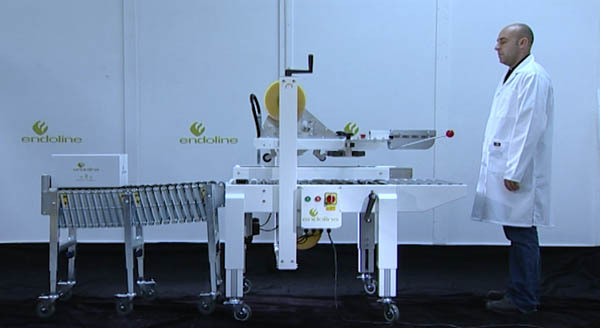 The Endoline type 621 / 625 case sealers are semi automatic pre-set machines that seal cases with self-adhesive tape . They are well-suited to single operator control, sealing consistent size cases. 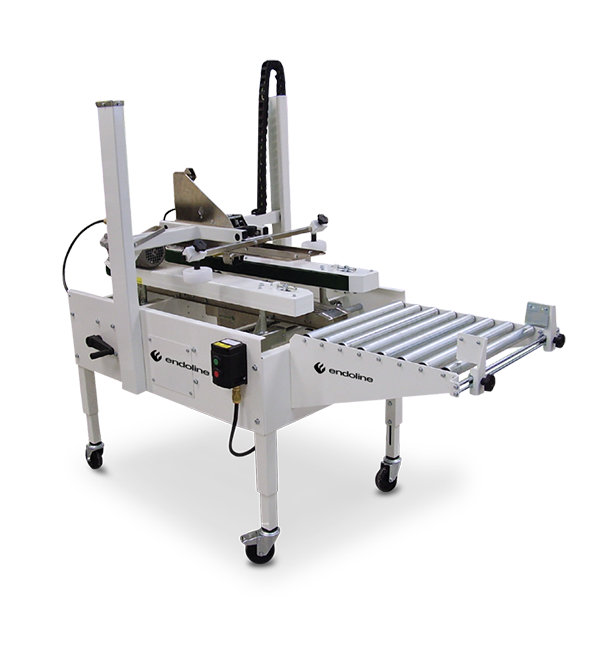 The type 621 case sealer is bottom seal only and can be used with a 100 series case erector to form a manual erecting and sealing system. The 625 case sealers seals both top and bottom and can be used for long production runs of the same case size. Both these machines are very simple to operate and maintain. The type 621 case sealer can handle cases between 110-990mm length and 100-500mm width, with no top taping. The type 625 case sealer can handle cases between 110-990mm length and 100-500mm and 110mm-510mm height.